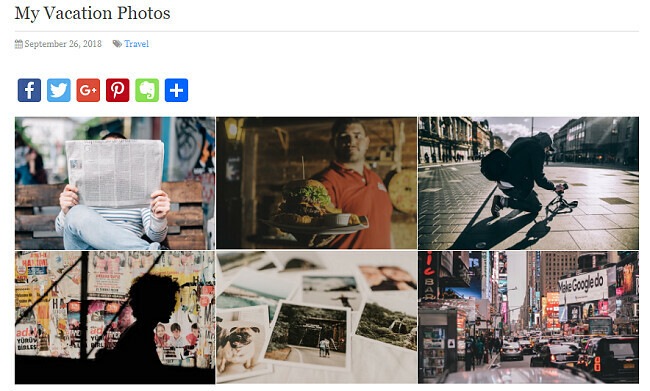 Do you want to create a beautiful image gallery in WordPress? You may need to upload images, customize, and display them in any part of the website. There are several image gallery plugins that allow you to create photo galleries in attractive layouts and responsive designs. Visitors can view and respond to your photo albums from any device or browser they use. Such galleries are great ways to share your photography skills and engage with the followers. 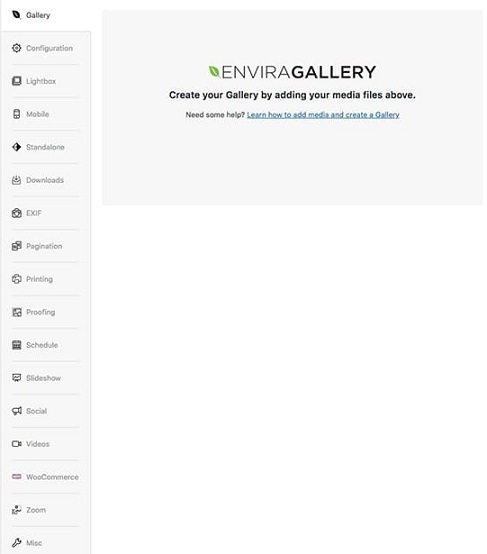 Now we’ll show you how to quickly create a photo gallery in WordPress with Envira. Envira is a premium high-quality plugin to build stunning photo and video galleries in WordPress. It is easy to use and offers advanced features to design powerful galleries that match your tastes and interests. It has a clean code and responsively delivers contents to the end user. The pre-built templates and drag and drop builder of Envira help you create albums in a few minutes. Its mobile friendly and SEO optimized capabilities will bring visitors from search engines on any platform. Envira is integrated with leading social networks including Pinterest and Instagram. So you can show sharing icons on the galleries which will boost user shares. Watermark protection and tags are other important features of the Envira premium plugin. They help you to protect the works with watermarks and organize them into different sections using tags. It also allows you to create slideshows with the photos uploaded to the galleries. 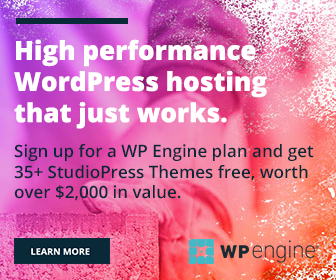 Install and activate the plugin on your WordPress website. 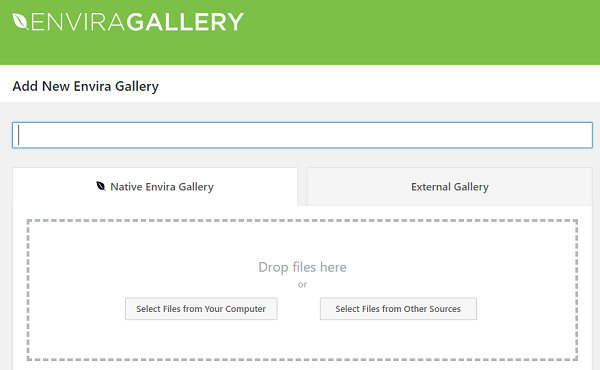 Choose Envira Gallery from the left pane of your dashboard to add or manage the photos. Enter a name for your gallery and select files either from your computer or WordPress media library. Wait for a few moments to finish the uploads. If the files are already uploaded to the WordPress server, click ‘Choose files from other sources’ button. Envira will connect you to the media library. Pick your photos by holding the Ctrl key + click. 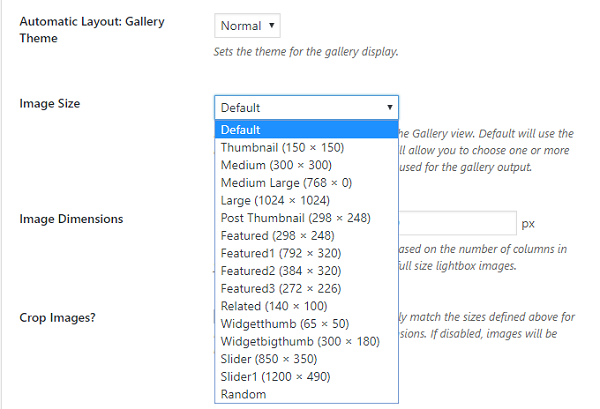 Choose the image sizes if needed and hit the Insert into Gallery button. The chosen or uploaded images will appear in your Envira Gallery. Choose the pencil icon on each image to update its title, alt text, web address, and link attribute. Save your changes to go back to the gallery settings and repeat this step for all images. Open Config tab where you can set the number of columns for the gallery, enable lazy loading, and others. You can also set the image size and dimensions based on your page layout and file size. Envira Gallery contains unlimited options to personalize, promote, and protect your media files. It provides lightbox, proofing, printing, slideshow, social media integration and others improve user engagements on your galleries and bring traffic to them. Once you finished settings, collect your gallery code from the right pane of the screen. Envira allows you to insert galleries anywhere in the WordPress website using a shortcode, template tag, or visual editor. While creating posts or pages, Envira will show you an ‘Add Gallery’ button to quickly insert your galleries into them. A new screen will appear with links to the galleries you created. 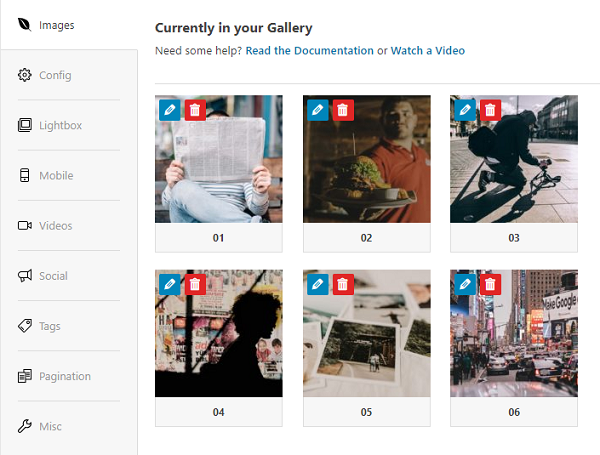 Choose a gallery that you want to show and click the ‘Insert’ button. Publish your page and open it in a new tab to know how it works.